Dad was Ralph Lee Earnhardt, a locally famous stock-car racing figure. In the day, automobile racing and truck racing champions might escape from the grinding poverty of life. 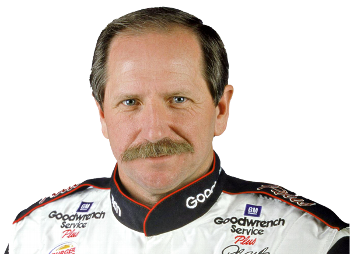 Born on Sunday, Earnhardt's economic earnings gained partly from following his father (uttama Arya-Surya -11) into the stock-car racing aristocracy. NASCAR races in the USA southeast region occur on Sunday, traditionally the day of the Sun god (father). The races involve driving around and around in circles (Surya, chariot of Vishnu). 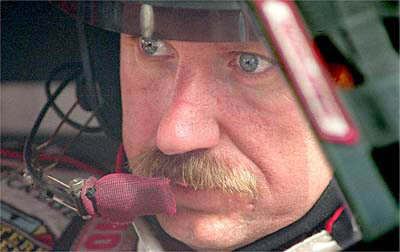 Many of Earnhardt's most devoted fans were devastated at his death because they believed him to be nearly immortal. Surya + bandesha-4 Budha ritual worship, routine, predictable, gatherings of the ethnicity at a common grounds in the countryside for seasonal festivals (racetrack). Driving of "stock cars" (normal commuter automobiles, Shani-4 normalcy) became vehicles of athletic competition with recognized titles (Surya) and awards for achievement (11). Budha-Meza yuti Surya-Meza * uttama surya + rogesha-6 Mangala-Meza engines = in the gainful vriddhi-bhava-11. Earnhardt symbolized the perceptual shift of car-racing from a vulgar, uneducated rural sport into a game of championship (arya). Mom was a cloaked personality. Compared to her brightly radiant champion racer husband, she preferred the role of a hidden supporter and protector. She was widowed (8) early.